Joondalup Country Club is the best public access golf club in Western Australia, and is rated # 3 in Australia according to the 2015 Golf Course Guide. Joondalup is simply the “Best of the Best”! With 27 championship golf holes designed by internationally renowned designer, Robert Trent Jones; a modern & contemporary Clubhouse, Golf Shop, and excellent practice facilities, Joondalup Country Club has it all for the keen golfer. Staying at the 5 star Joondalup Resort, nestled in natural bushland just 25 minutes north of Perth CBD and five minutes from WA’s Sunset Coast, the Resort offers an oasis of relaxation, comfort and state of the art facilities. You can be enjoying this great golfing experience from as little as $715 per person! The spectacular golf holes sweep across dense bushland, cuts through steep limestone quarries and skirts picturesque lakes, to present surprises and challenges at almost every turn. A “must play” course! 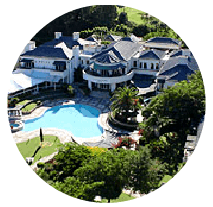 This 5 star resort hotel has excellent and modern guest facilities including a fine dining restaurant, a relaxed café bistro and a British style pub, as well as a large outdoor swimming pool and bar. Free parking and WiFi add to the value of staying at Joondalup Resort and just walking from your hotel room to the first tee. If you have time to extend your visit to Perth, then consider a few extra nights at the exclusive 5 star Crown Perth, and perhaps more golf at The Links, Kennedy Bay rated (#7) or Meadow Springs Country Club (rated #20). Just make your enquiry through the website or call us for a personalised and tailored Perth golf package. 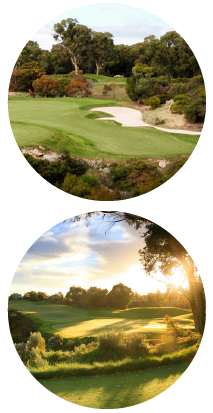 We are the experts in Perth golf packages & tours!